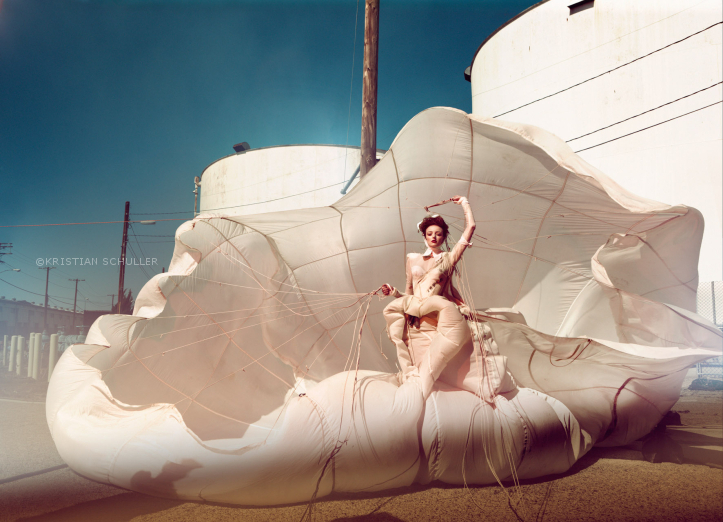 Kristian Schuller is a Paris-based photographer. He is the son of theater dramaturg and director Frieder Schuller. As a child, Kristian emigrated with his parents and his brother to Germany, he grew up in Bonn and Dusseldorf. He studied fashion design with Vivienne Westwood and photography with F.C. Gundlach at the University of Fine Arts Berlin. After his initial introduction by Isabella Blow to Condé Nast Publications in London, Kristian has continued working internationally with various fashion magazines and commercial clients. He has worked together with artists/models like Penélope Cruz, Gisele Bündchen, Heidi Klum, Duran Duran, etc. His work featuring top models in original and creative settings has been published in international magazines such as Vogue, Harper’s Bazaar, Elle, Glamour and many more. The woman and the dream are the main subjects in his work. The models are staged within a dream-like glamour world. For the series he created in Los Angeles, he uses the circus as a backdrop for imaginary stories juxtaposing colorful female silhouettes, clowns and elephants. Whilst in Capetown, South Africa, he captures trapeze artists in multicolored drapes floating above the beach. Kristian Schuller’s work is significantly inspired by the theatrical experiences of his childhood, as well as the films of Federico Fellini. His images tend to be acutely seductive, providing the viewers with a view into a riotous fashion dream world completely possess the beholder. 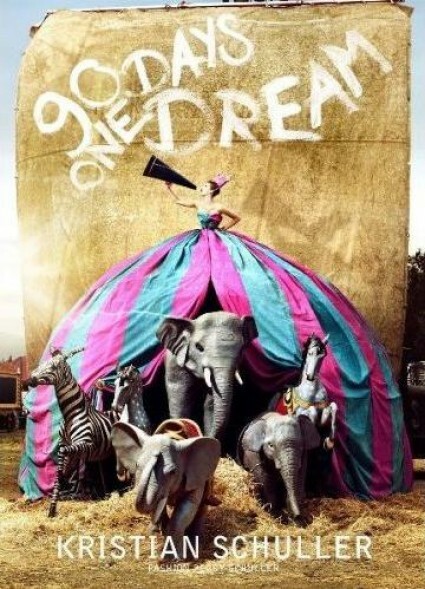 Feeling circus with animal partners: The models must overcome their fear of animals. Schuller and his partner Peggy married in 2007. 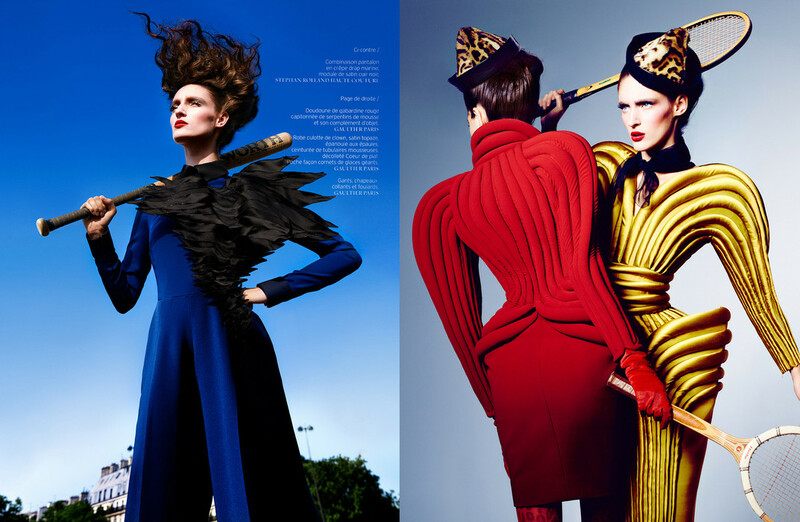 After traveling around the world Kristian Schuller and his wife Peggy choose to make fashion capital Paris their home. Peggy is a designer and very much involved in her husband’s work. Before starting to shoot a new series of images, Kristian always makes a rough sketch and goes in search of ideas for the sets and costumes, drawing his inspiration from the world of film, art history and old photographs. With this in mind he can then decide on the locations, models, hairstyles, make-up and clothing, all in close collaboration with Peggy.